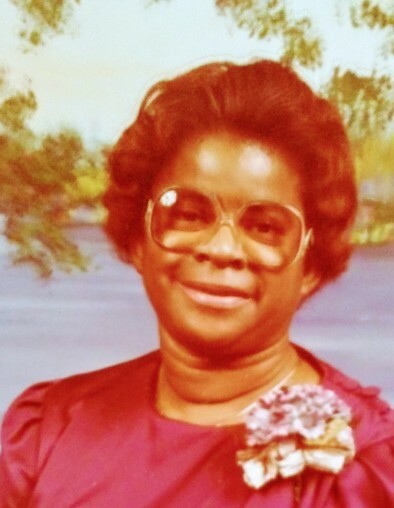 James Lula Houston was born on December 17, 1935 in Magnolia, Arkansas and moved her to Muskegon, Michigan with her family in the mid 1950’s. She was born the eldest child and daughter of six children born to Hazel and L. C. Robinson. She was a longtime employee of Hackley Hospital, where she worked in various capacities, primarily in the Housekeeping department. She left this life on Friday, November 30, 2018, a resident of the Poppen House of Harbour Hospice at approximately 5:15 pm. She leaves to cherish her memory, her only biological child, Kevin Green, a special god daughter Teka Cage, three special godsons Alvin, Rufus and Craig Kilgore, 1 sister Martha (Eddie) Pierce, Sr. of Orlando, Florida, two brothers Tommie Glen (Joyce) Robinson of Mississippi, and Paul (Beverly) Robinson of Maryland. She also leaves behind her good friends from “The Golden Girls” organization, her beloved church family, as well as a host of nieces, nephews, great nieces and nephews, and great-great nieces and nephews. She was preceded in death by her parents, L. C. and Hazel Robinson, grandparents Tom and Julia Montgomery, her sister Bessie Aaron, brother in law Fred Aaron, brother Grover Robinson, sister in law Joyce Robinson, two husbands Elnor Green and Jesse Houston, two great nieces Charmaine Robinson and Amika Sharp, as well as other extended family members.